Some of you may recall back in 2003 or 2004 (somewhere thereabout) New Glasair under the leadership of Mikael Via, did an extreme make-over on EAA’s Young Eagle GlaStar. The plane was beginning to show wear and tear especially on the interior. I remember seeing it at Oshkosh with interior fabric hanging loose as the spray adhesive had softened under summer temps. 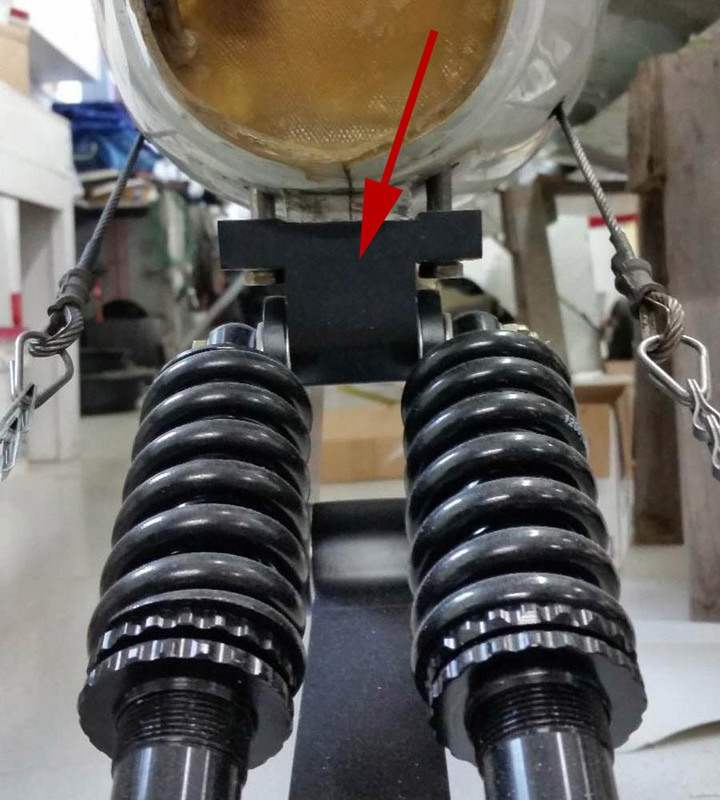 EAA called us and reported that one of the main gear legs had a slight bend and they asked if we could repair or replace it. We told them it needed to come to Arlington and they obliged. 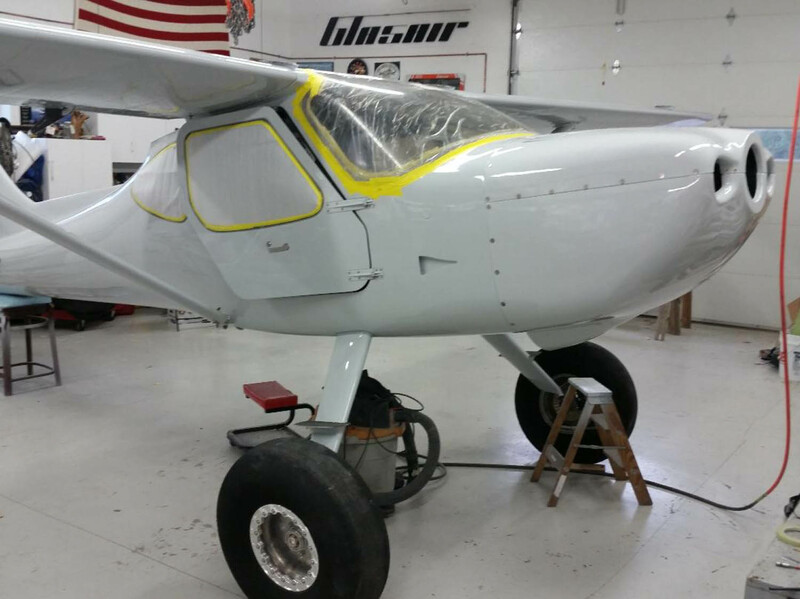 Without EAA knowing, we undertook a massive makeover and completely disassembled it and tore out the interior. In short, when it left Arlington it looked pretty much the same as a TWTT Sportsman with primer and Zolatone specked interior and a brand new paint job on the exterior. It was unveiled to EAA at that year’s Sun N Fun fly in. Note the flap tracks are ground and filed round on the corners and hard anodized black. He’ll never have to deal with paint chipping off the tracks. 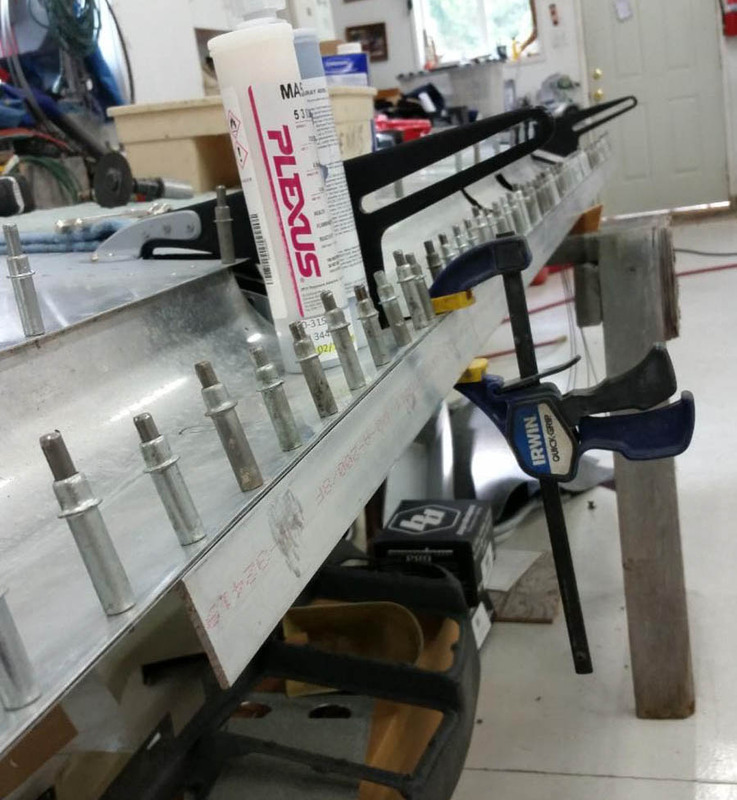 We fabricated new, heavy duty flap track attach angles out of 1/8” thick aluminum angle, using the footprint of the old angles as drill guides. 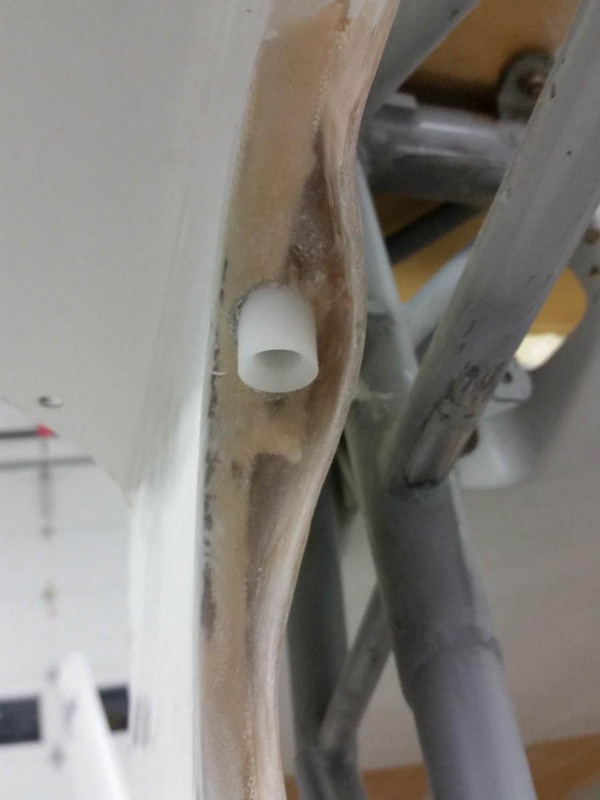 Tom Needham reported finding small cracks in several of his attach angles, so we elected to size them up. One of the more challenging tasks was positioning all four flap tracks at the same angle. Harry DeLong came up with an excellent but simple fixture for this. 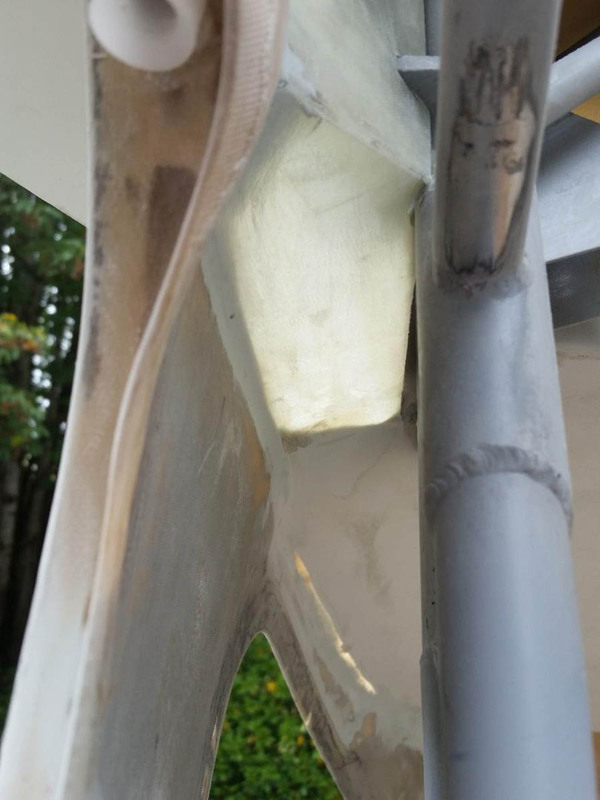 After we determined the angle of the track (as set by the position of the flaps in the retracted position) Harry fabricated a 1/2” plywood board that was contoured to the shape of the airfoil with contact points at the forward and rear spars. The plywood extended aft so that the flap tracks could be clamped to the plywood all matching the tracing of the track outline. Simple plywood flap track positioning fixture. 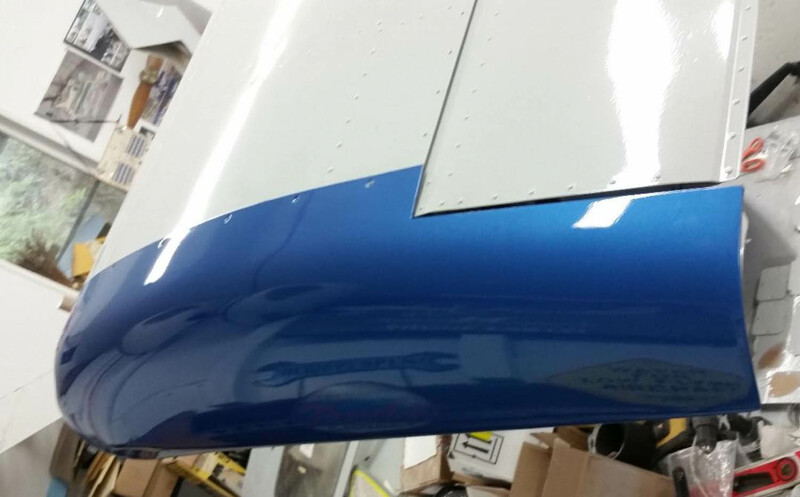 We used a straight aluminum angle to keep the trailing edge of the cove skin straight, using adhesive and clecos. 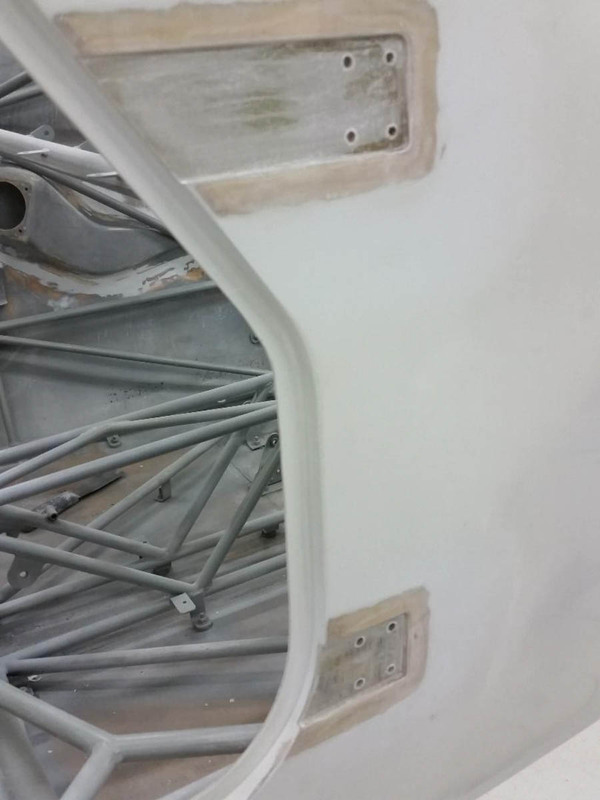 Once the adhesive cured, we removed the angle and finished with flush rivets. 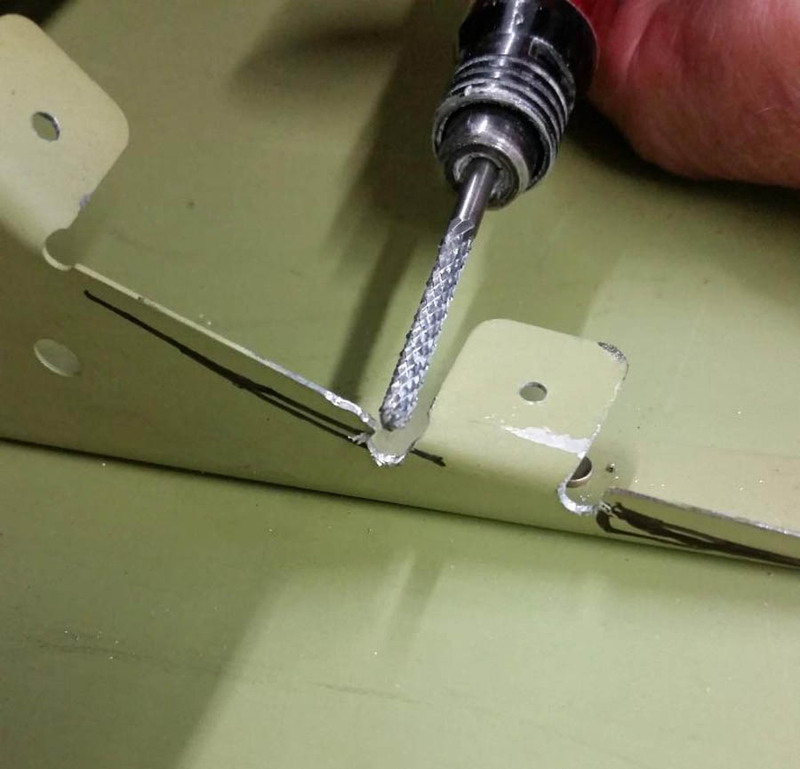 A trick to keep in mind is to squeeze the shop head of the rivet with a universal (rounded) 3/32 rivet set. It rounds off the rivet tail edges so cleaning rags don’t get hung up on them. 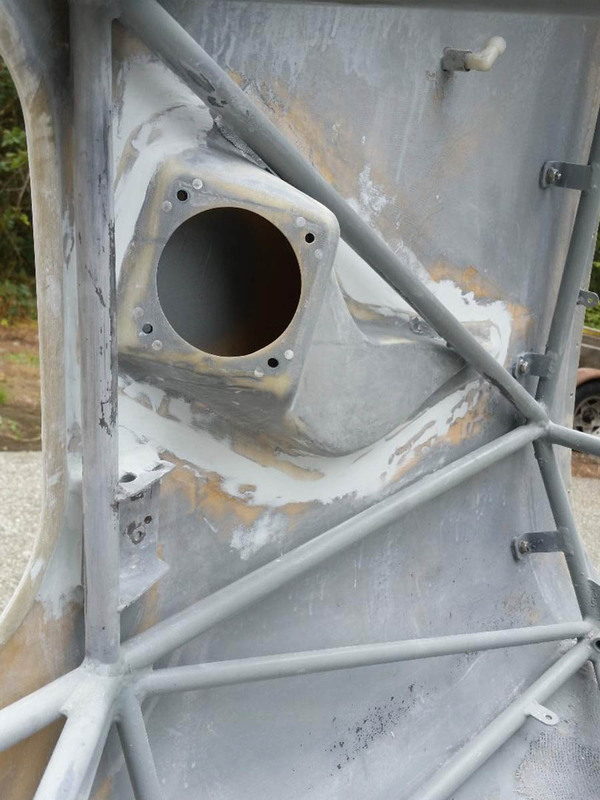 We were amazed that we were able to use the existing cove skins back in place. This is the extent of the work required to trim the cove ribs. 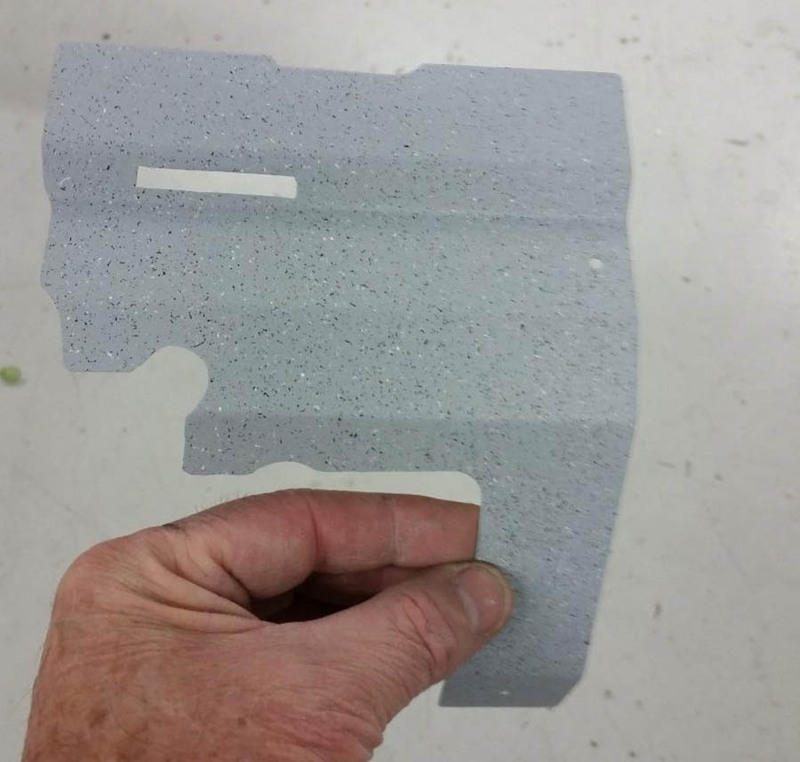 The tab had to be bent farther down to match the surface of the drawn lines. 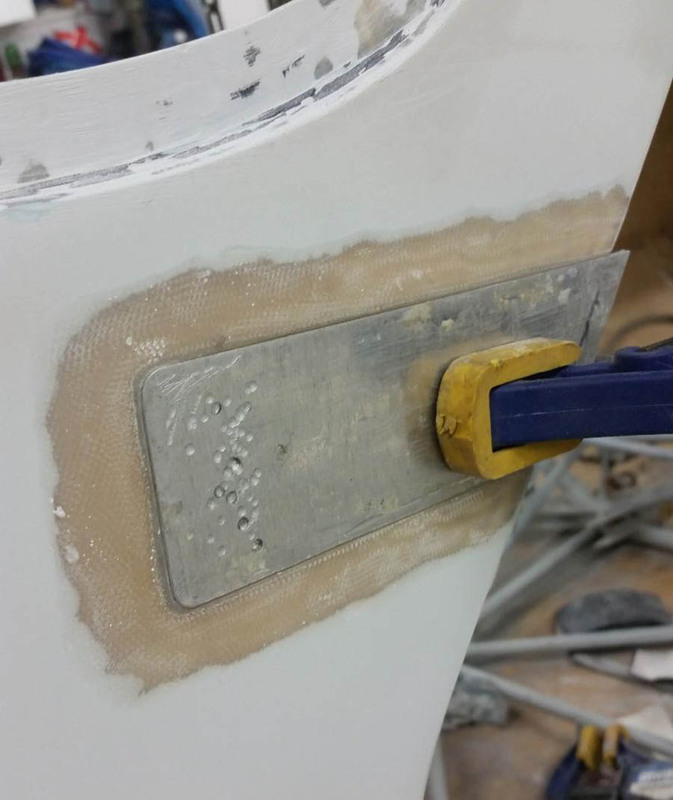 We chose to use adhesive on the tabs rather than 3/32 pull rivets since the holes shifted slightly. 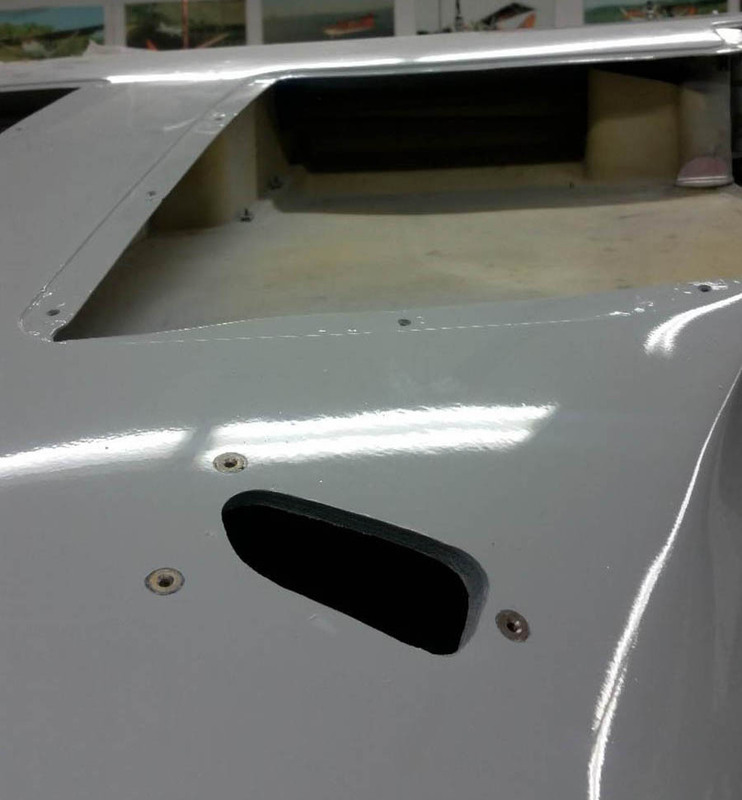 The longer Sportsman flap tracks require relief holes in the fuselage, covered with both an exterior .050” thick aluminum cover plate plus a cosmetic .020” thick interior one. 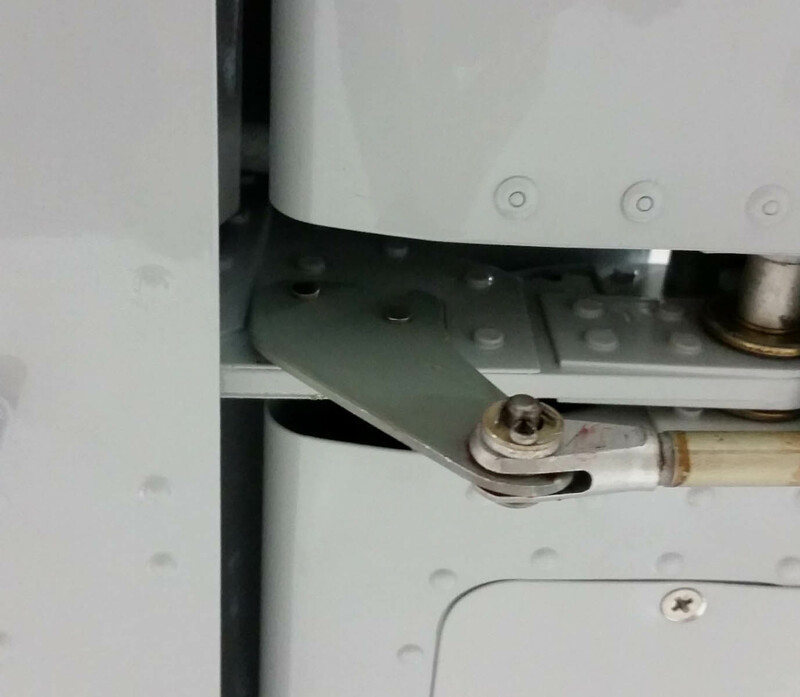 The flap track retrofit involves either re-clocking the arms on the flap bellcranks inside the wings (difficult) or simply fabricating a modified flap cable attach tab like this one. It took a few practice tabs until we got the correct dimensions, but essentially we shortened the forward cable (with the orange heat shrink) by 3/4″ by carefully cutting through the old Nicopress sleeve and crimping on a new one. 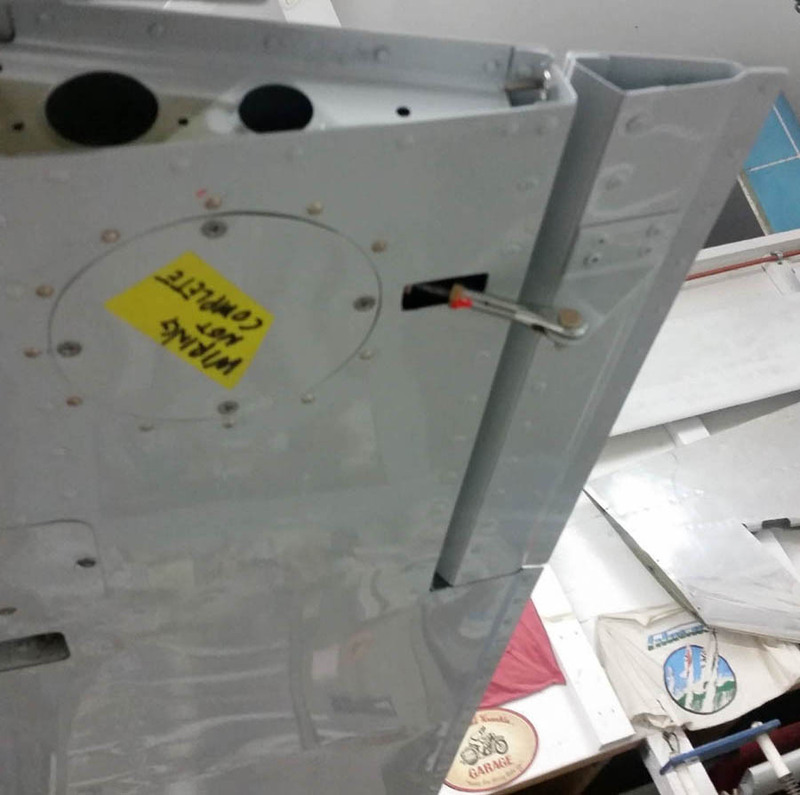 We extended the tab 3/4″ more to the aft side which required no change to that cable end. 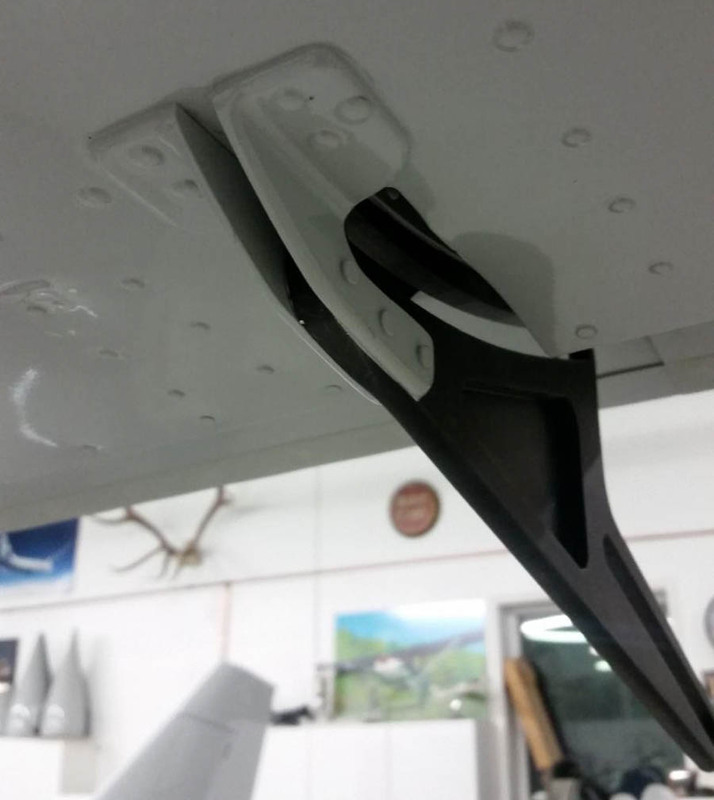 I wouldn’t have a GlaStar or Sportsman taildragger without one of these. They arrive in bare aluminum (which could be polished) but notice that we had them anodized black with the flap tracks. It required cutting the welded washer off on the inside and welding it back together after anodizing. 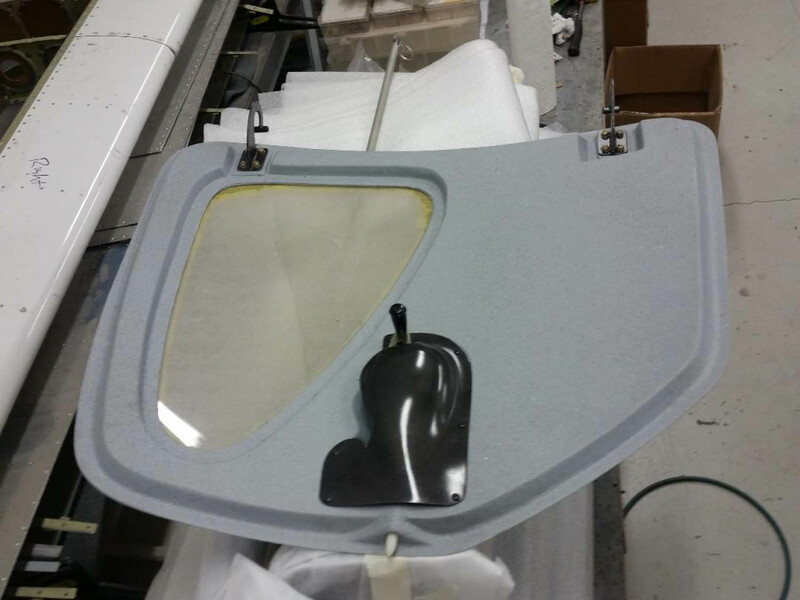 Glasair Aviation has a loaner mold to clamp in place to laminate the exact curved shape shown here. 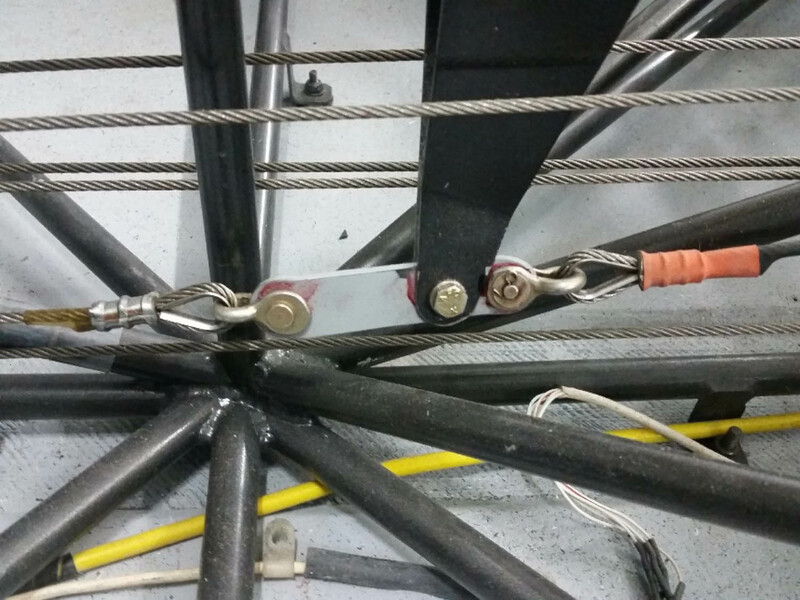 Note where we carefully ground off the steel bushing from the cage tube and carefully filed the welds off. We installed the hinges on the doors after they had been placed in the openings with latch-pins engaged. 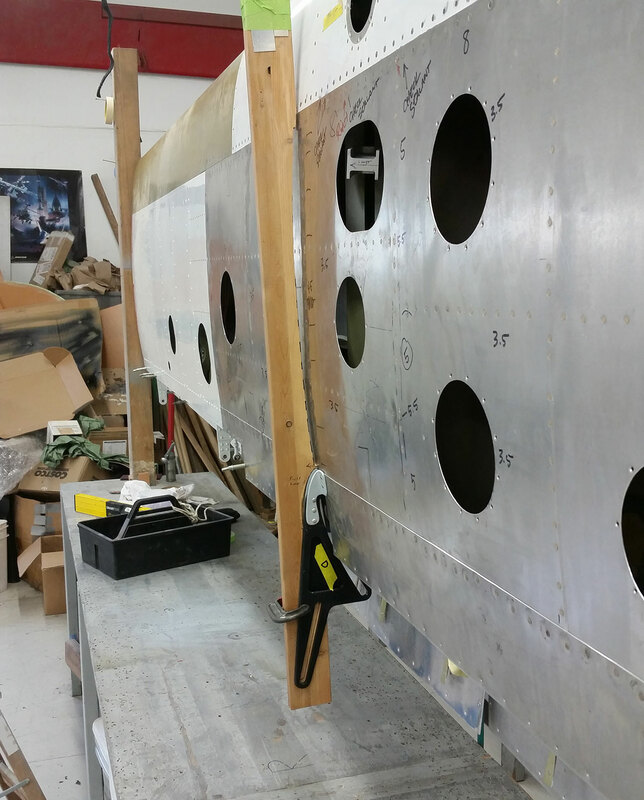 Traced the hinge outline on the fuselage exterior and cut away the exterior skin. Scarf sanded the exterior skins approximately 3/4” wide around the hinge recess. Fabricated a 1/8” thick plate to clamp (flush) in place, then laminated two plies 7781 cloth and clamped the waxed aluminum plate in place. Once the laminates cured, we block-sanded the exterior surface flat and drilled the forward hinge halves in place. Well, there are instructions for the door installation, so no need to describe it here. This is a photo of the finished product ready to install. 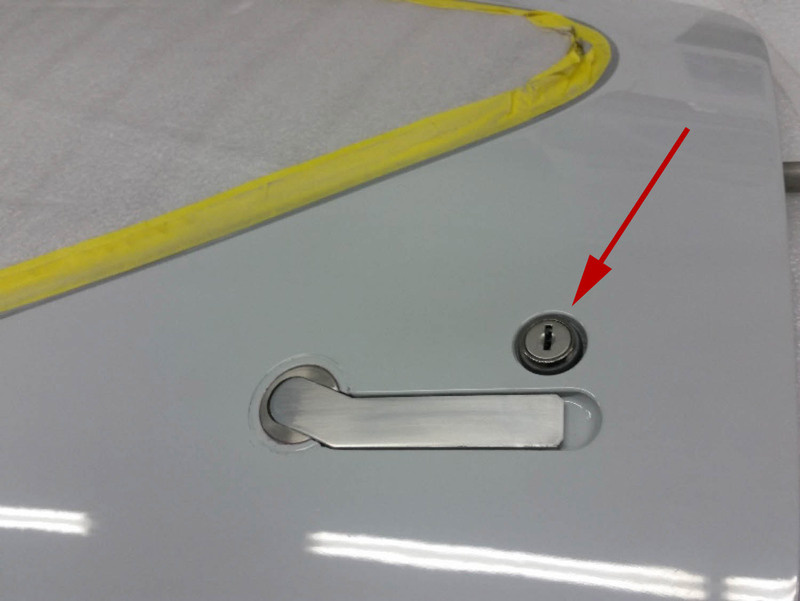 Note: As of December 2018, by popular demand, I am including exterior aluminum hinges in all door kits. The interior door hinges as seen here don’t allow the door to open beyond 90 degrees, but can be obtained on request if desired. Door kits also now come with barrel lock. 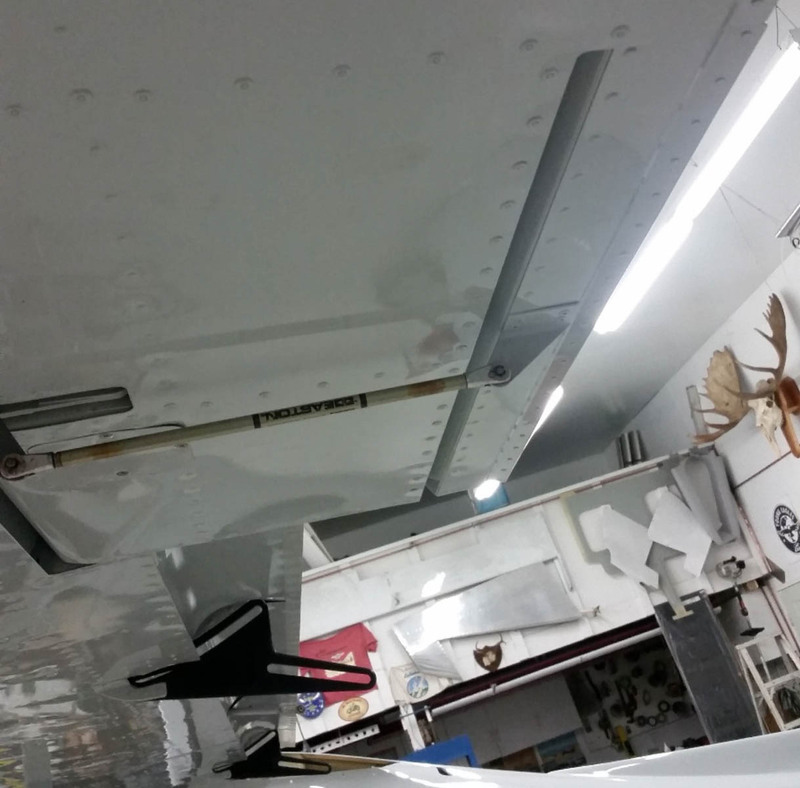 Not too tricky to retrofit on on the right aileron. 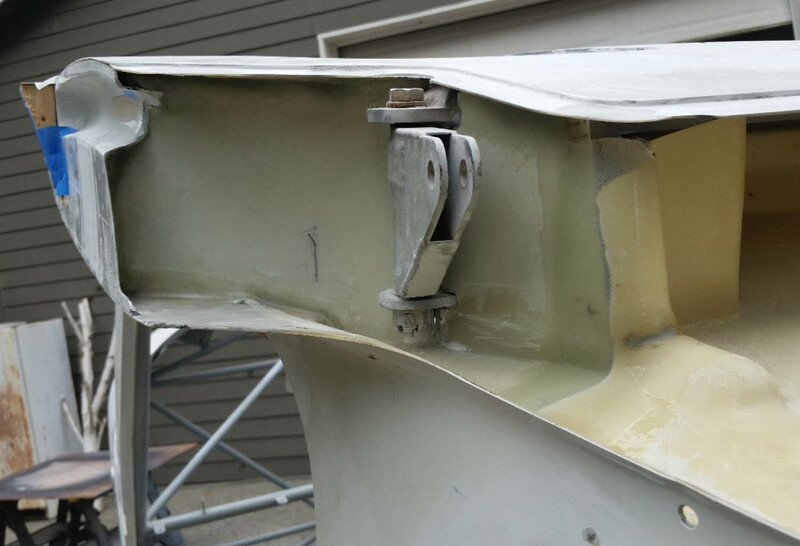 It is the same as the RH trim tab, only a little longer. 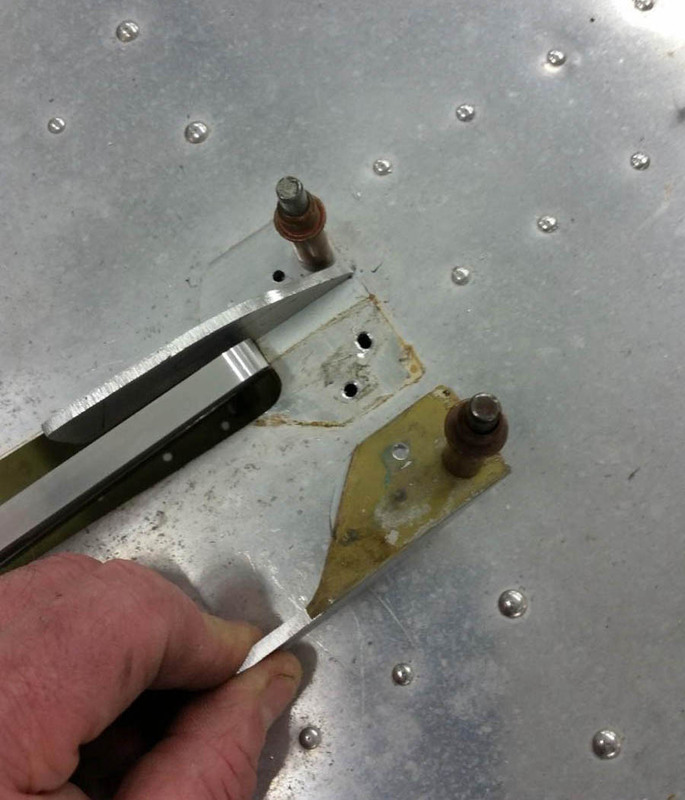 This photo shows the aluminum tab that is riveted to the aileron hinge arm, anchoring the servo fixed push-rod. 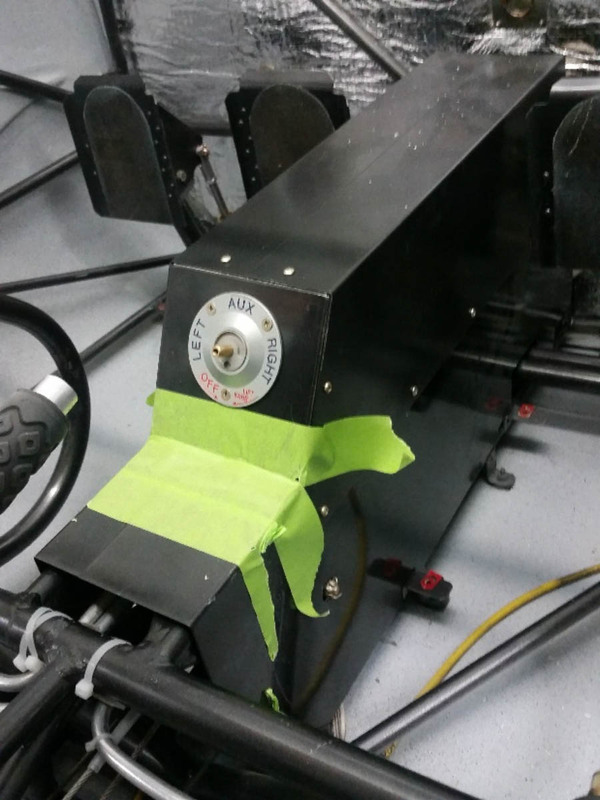 It works like power steering to lower the aileron control stick forces. After operating on the extended, heavy duty gear now for the past year on my Sportsman, it is definitely the first upgrade I’d recommend to any GlaStar or Sportsman tailwheel owner who likes to fly into rough strips, land and take off short, etc. 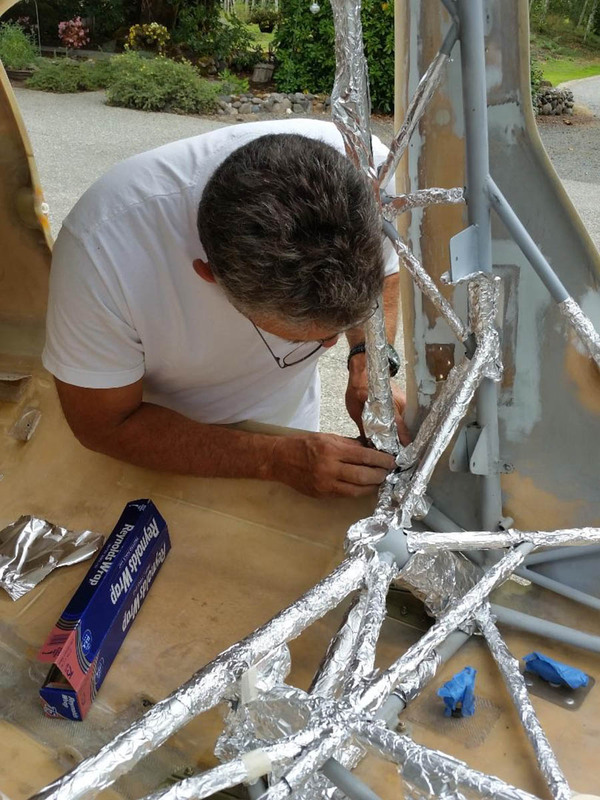 Watch for an upcoming article detailing step-by-step instructions for fabricating the fairings and steps. 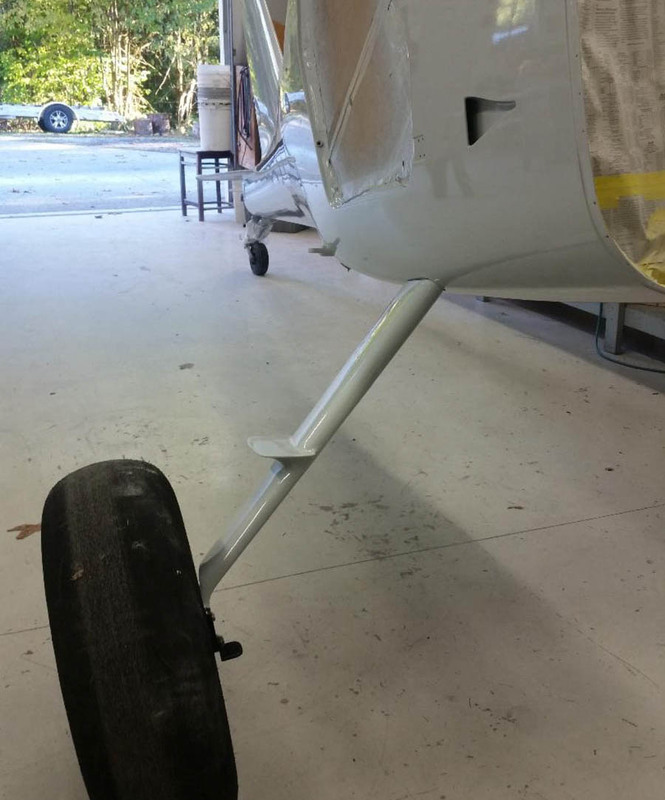 The gear truss reinforcement I strongly urge for all GlaStars and 2350 Gross Weight Sportsman who upgrade to the extended, heavy-duty landing gear. 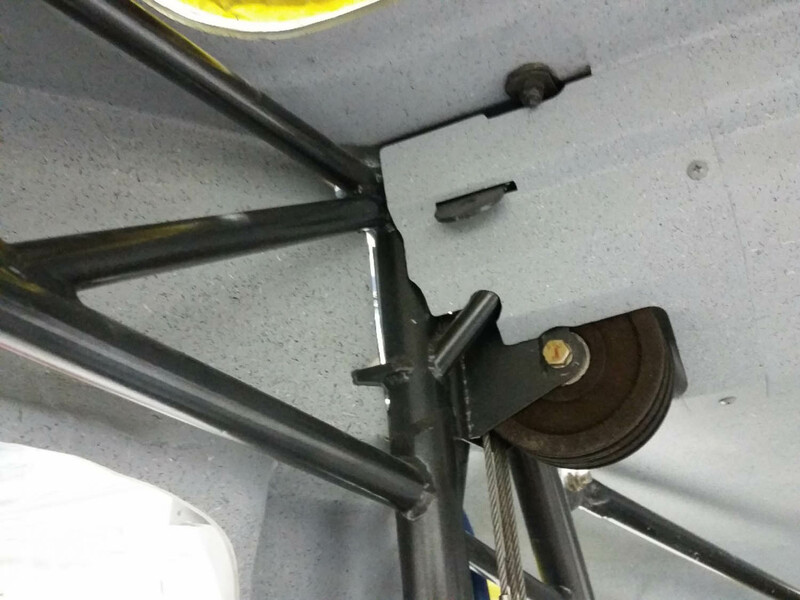 The photo above shows an upper and lower “cap” on the truss tube. I don’t believe the lower cap is necessary and don’t have it on my plane. The upper (half) cap should be made from 1.0” OD x .049” wall 4130 tube. A similar (half) cap is also welded to the lower horizontal truss tube. No reinforcement is necessary on the diagonal tubes. Tom Needham was the first Sportsman customer to install a set of (non-extended) heavy duty gear on his Sportsman in Cameroon, Africa. In a very strong downdraft – possibly a microburst- on the high-altitude Cameroon mountains on a steep one-way strip, Tom impacted the ground hard enough to greatly compress the non-reinforced upper strut tube and sever the lower one. It may never happen to most of us, but if it does… it gets tremendously expensive to repair the cage. It’s just good insurance. Hilder Rosales (weld-shop foreman for Glasair Aviation) has a fabrication shop on the west side of the Arlington airport. 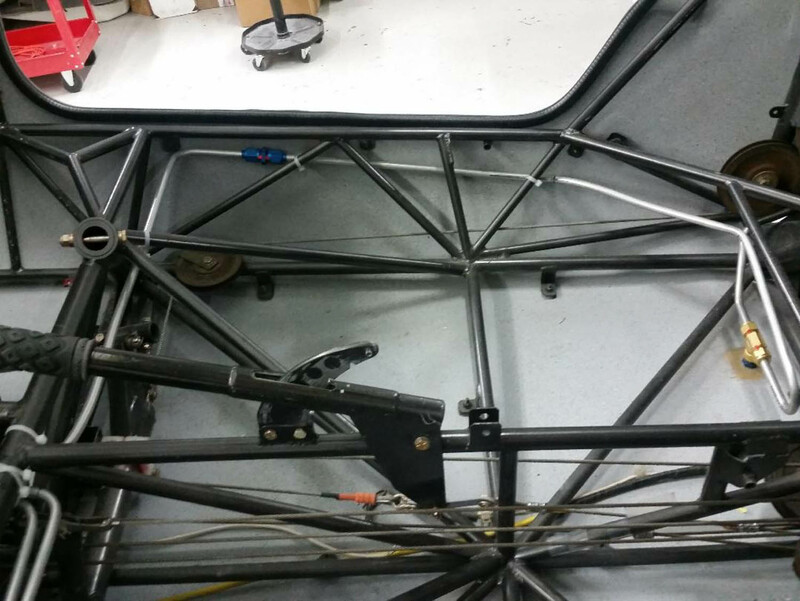 He has accomplished major Sportsman cage repairs as well as these truss tube reinforcements that include cage-painting and reassembly. This was one of the early square yoke attachments to the GlaStar. 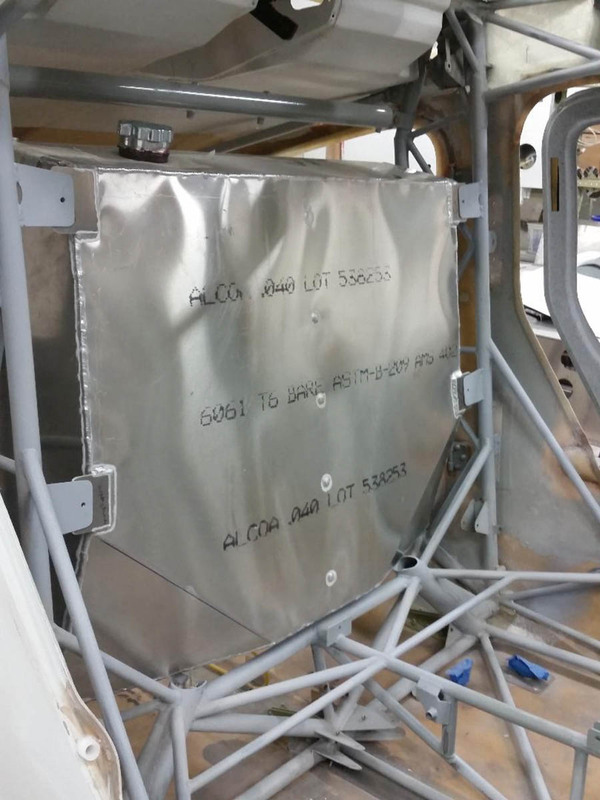 We left the aluminum block in position and significantly beefed up the laminates on the interior. 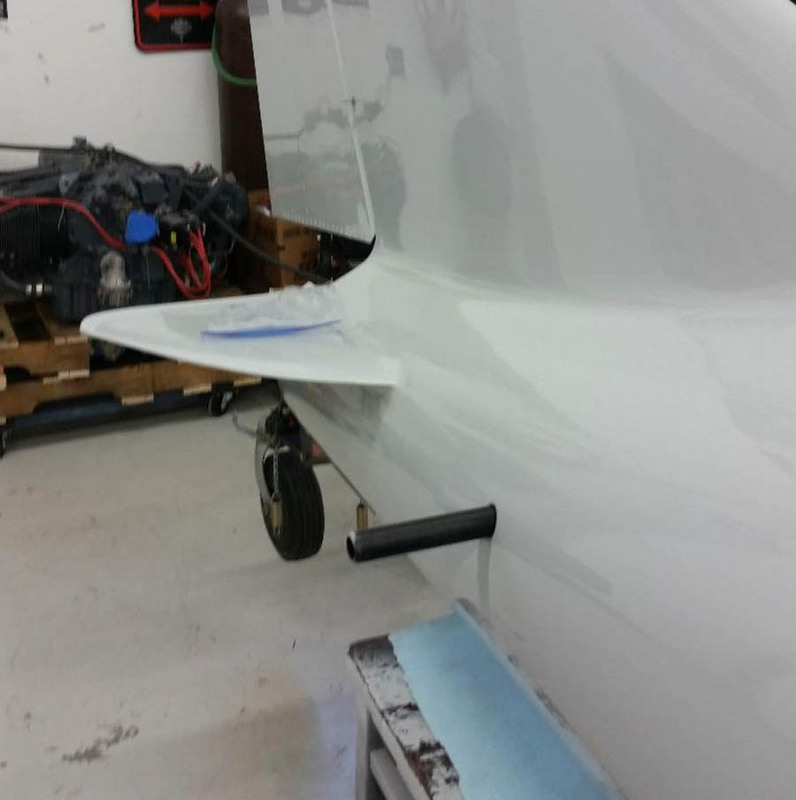 Sportsman wing tips installed on the GlaStar wing. Craig will finish the landing, strobe and position light installations at home. 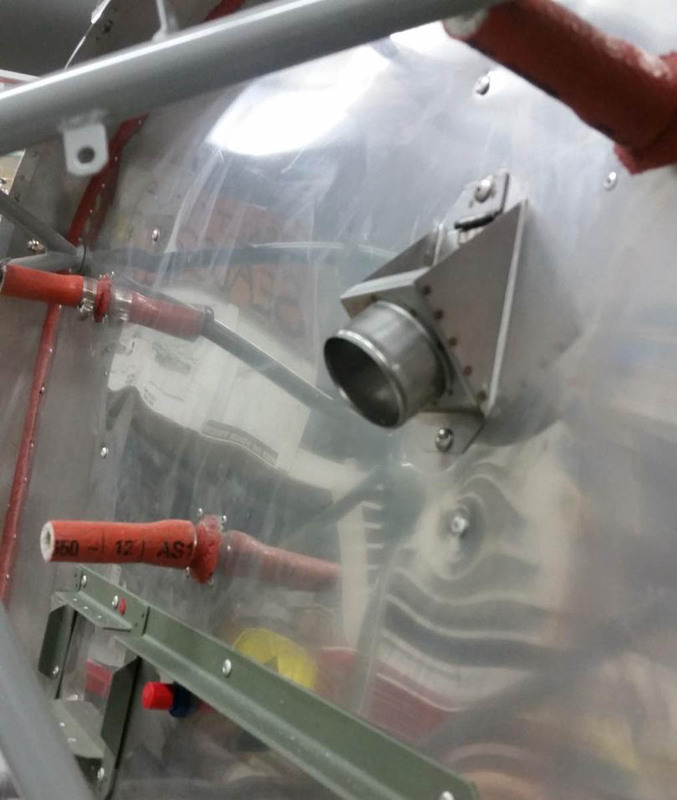 20 gallon aluminum fuel tank fabricated by Hilder Rosales at Hard Industries. 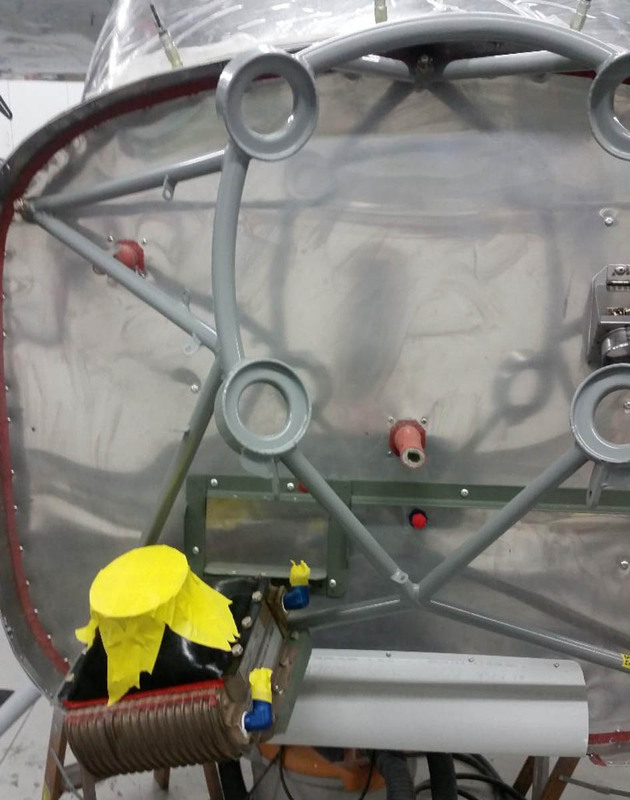 The fuel tank is supported with (4) forward and (8) aft attach tabs to the cage. This fuel line routing is the same as on a Sportsman. 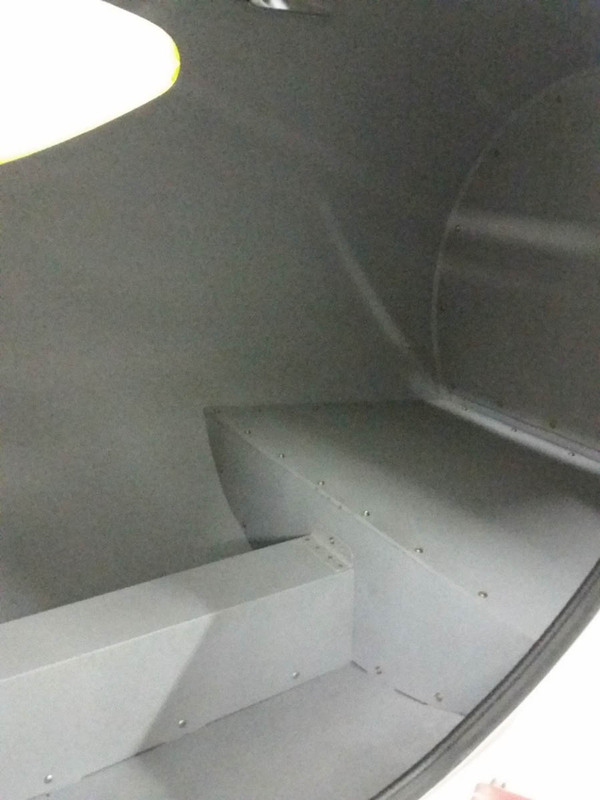 One low-point fuel drain valve is at the aft end of each seat bay. New glass installed. Note the 12″ spun aluminum wheels and bead locks. We had to chisel and grind the old windows out to preserve the original window flanges. New windows were put in with Silpruf. My hat is off to Zach Chase for teaching us a long time ago the best method for installing the windows. This is the same dorsal fin I installed on mine. I think it is aesthetically pleasing, plus it offers a bit more side resistance to benefit yaw stability. 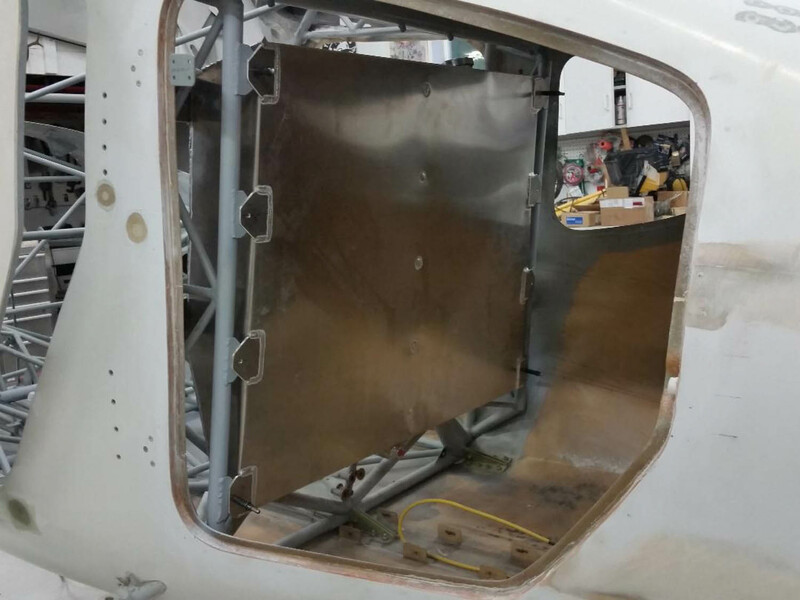 We cut sections from pre-cured laminate sheets and formed interior close-outs of the wing roots and aft spar pivot area similar to the Sportsman. Aft baggage area was a mess of old fabric and spray-on glue. We cleaned it all up and painted and Zolatoned brand new. Craig Gillson covering the cage in order to spray the grey primer and Zolatone. 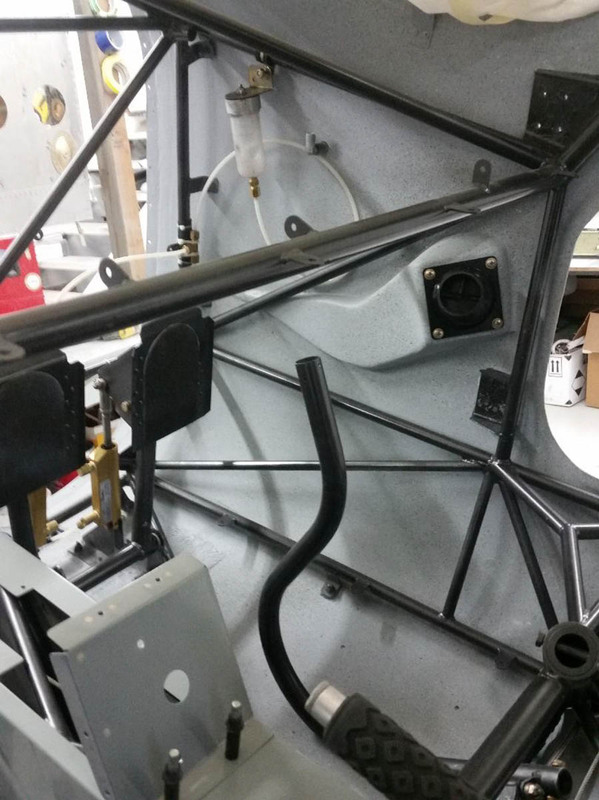 New firewall with wire and engine cable pass-through fittings. 2” cabin heat valve. 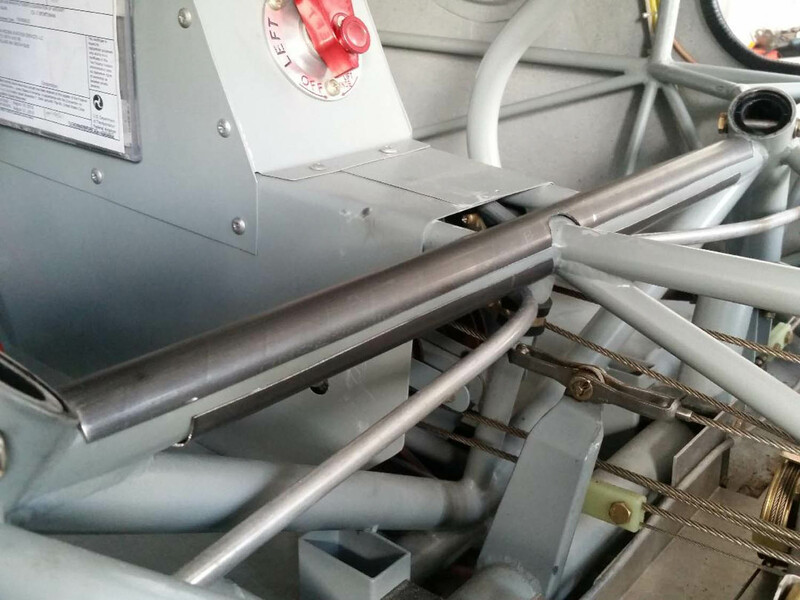 The oil cooler is mounted to the engine mount low and nearer to the exit area. I did mine that way also with the (unproven) theory that it might help augment airflow through the cooler. Does anybody recognize this guy? 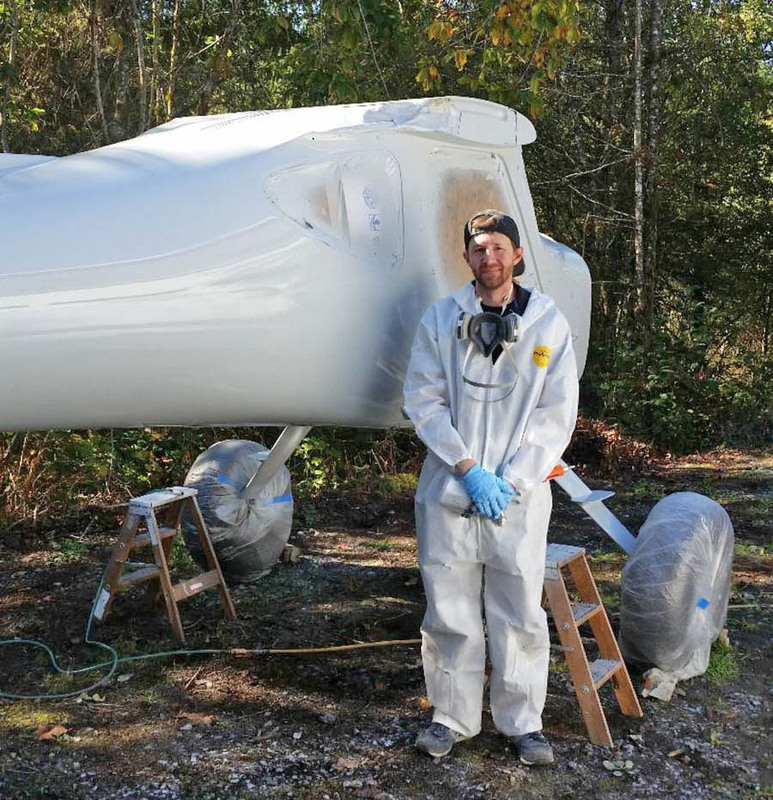 It is none other than Jeff Miller who accepted our invitation to paint Craigs GlaStar in “nature’s spray booth” on a clear, sunny (nearly bug free) October day. As always, Jeff did a great job. Craig Gillson (middle) is a United Airlines 787 captain and thoroughly enjoyed working with us on his project over the course of one year. Craig made many trips up to our shop staying for days/weeks at a time at the Setzer B&B and worked with Harry DeLong (right in the photo) and me in our ONE YEAR TO TAXI program. He and his A&P son will finish up all wiring, instrumentation and firewall forward tasks at home in San Diego. You know… the 90% done and 90% to go stage. It was a great pleasure working with him and getting to know him like a brother! 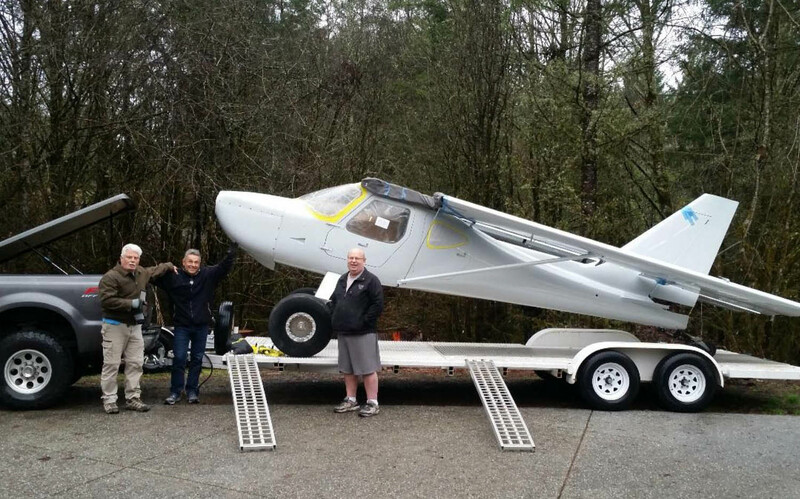 To the left of Craig is Dave Rowland whose OYTT GlaStar project is now in the Setzer shop. 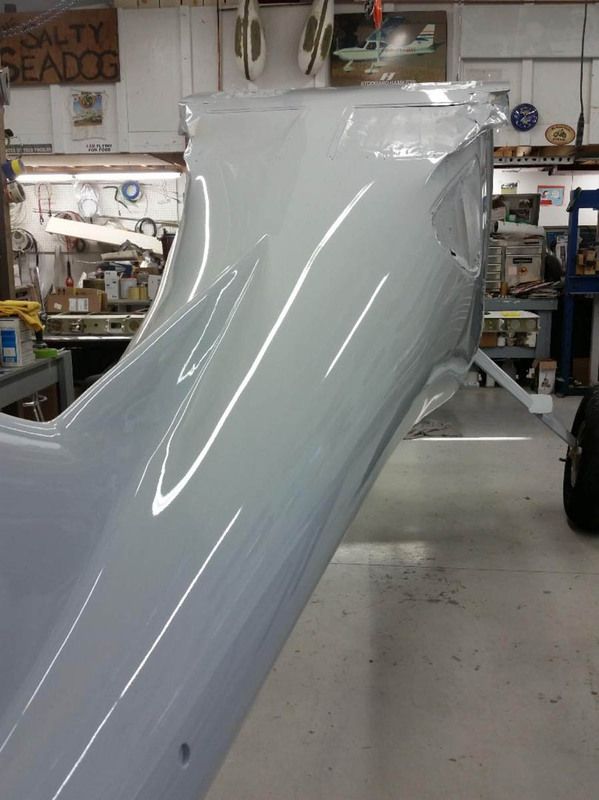 Dave’s will be very similar to Craig’s with the exception of a wing fuel tank design with an undisclosed amount of (wet-wing) fuel capacity for back country Alaska adventure flying. 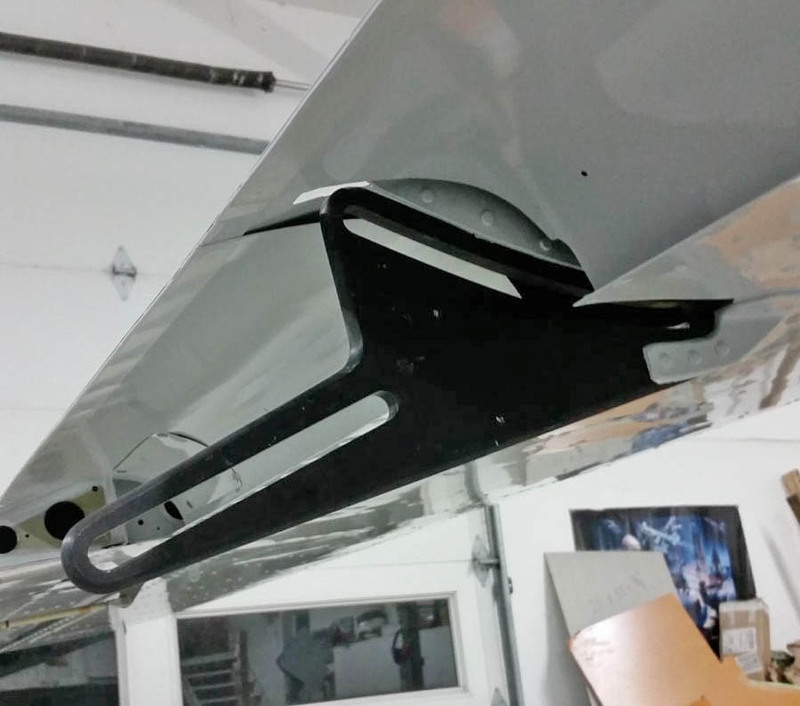 With thicker wing skins and removing the Glastar spar doublers and reinforcements and replacing them with Sportsman spar flange doublers, we’ve essentially upgraded Dave’s wings to Sportsman strength. 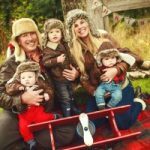 These may be too extreme of a makeover for many of you, but I hope it gives you some insight into what may be possible given only the limitations of time and finances. The one thing that can be done with elbow grease and without great expense is to makeover the interior as we did with this one and give it that brand-new aircraft appeal. 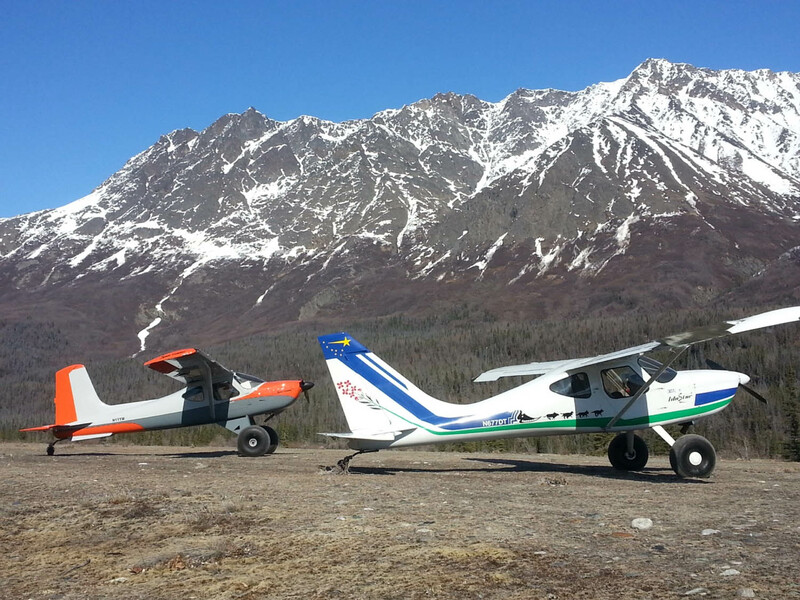 Ted’s Sportsman N11YM with Matt Freeman’s GlaStar on a 2015 expedition in the Alaskan Wrangell Mountains. I found some color in my gold pan on this stop next to the river and HAVE to go back there soon!